Dallas’ Dealey Plaza November 22, 1963. The iconic day and place where President John F. Kennedy was shot; and a nation mourned. In the opening sequences of his directorial debut, Parkland, Peter Landesman quickly introduces us to some of the key figures whose lives will be impacted by the events of that day. 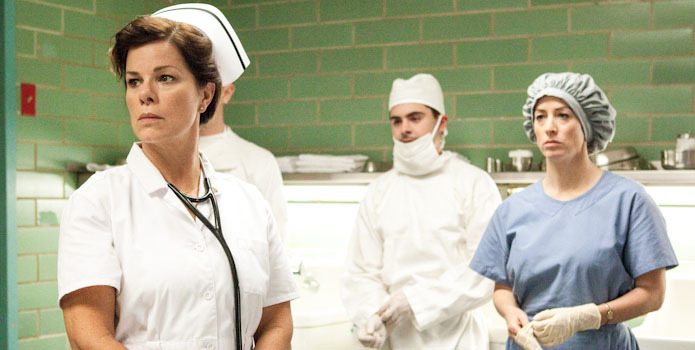 At Parkland Memorial Hospital, we meet the doctors and nurses, such as Dr. Jim Carrico (Zac Efron) and Doris Nelson (Marcia Gay Harden), who will be thrown into chaos as they not only try to save President Kennedy’s life, but also the life of his accused gunmen Lee Harvey Oswald (Jeremy Strong) a mere two days later. Of the many characters central to the film, we are also introduced to James Hosty (Ron Livingston), the Dallas FBI agent who was assigned to investigate Oswald prior to the assignation. His office was front and centre on the day, but somehow missed Oswald’s name on the watch list when he was in their office 10 days earlier. Over at the Dallas bureau of the Secret Service, Forrest Sorrels (Billy Bob Thornton) preps his team not knowing the horrors to come. Lastly we meet Abraham Zapruder (Paul Giamatti), the man whose name would be globally known for inadvertently capturing the assassination on his 8mm film camera. Landesman does an exemplary job with a notable cast. Each character has their moment to shine and no one is underused or wasted. Landesman manages to get some of the best performances from his cast in the moments that highlight the confusion and uncertainty that everyone was feeling on that day. A nice example of this is the chaotic scene in the operating room where Nurse Nelson is the first to take charge and get the team moving. The situation is not helped by the fact that the secret service men, F.B.I. agents and government officials all want to be by the President’s side during the procedure. 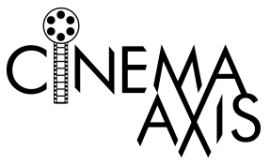 Parkland’s screenplay includes an angle not commonly explored in other films about Kennedy’s assassination, the reaction and effect on Lee Harvey Oswald’s family after the shooting. We meet his brother Robert (James Badge Dale) when the news first breaks of the apparent shooter being held in custody. It is clear that Oswald family’s life will never be the same again. This is emphasized by a Dallas police officer advising Robert Oswald to leave the State with the rest of his family and change his name, implying that the Oswald name will be forever tarnished. Not that Oswald’s mother would agree. Jacki Weaver continues her streak of strong performances as Oswald matriarch Marguerite Oswald. Marguerite has the deluded notion that her son was actually a government agent. She even believes a potential book deal could come out of this tragedy. Of all the characters in the film, it is Abraham Zapruder who is the fastest to recognize the enormity of the event. He knows right away that he has filmed the death of an American President. He is also instantly aware that his film footage will change the fortunes of his family forever. Zapruder would only relinquish the stills to Life Magazine, over the multitude of bidders, after they promised that they would not publish the kill shot. Later he remarks that he wished he had never shot the footage. Peter Landesman’s production moves at a rapid clip. He explores areas of the shooting and aftermath that have been underrepresented on film. He takes the audience through the events leading up to, and after, one of the most significant moments in American history. At the heart of the film is two very different attempts to save a life and two very different funerals. Parkland is a film that I can recommend. I REALLY want to see this but the press screening is at 10 am. One has to work for a living 😦 Nice review, I definitely would rent this one. Thanks for the comment Ruth. The film has many notable elements and well worth a view on any platform you can manage.